This is the second day of a two day conference with David Mars, PhD, the developer of AEDP for Couples and Diana Fosha, PhD, the developer of AEDP. 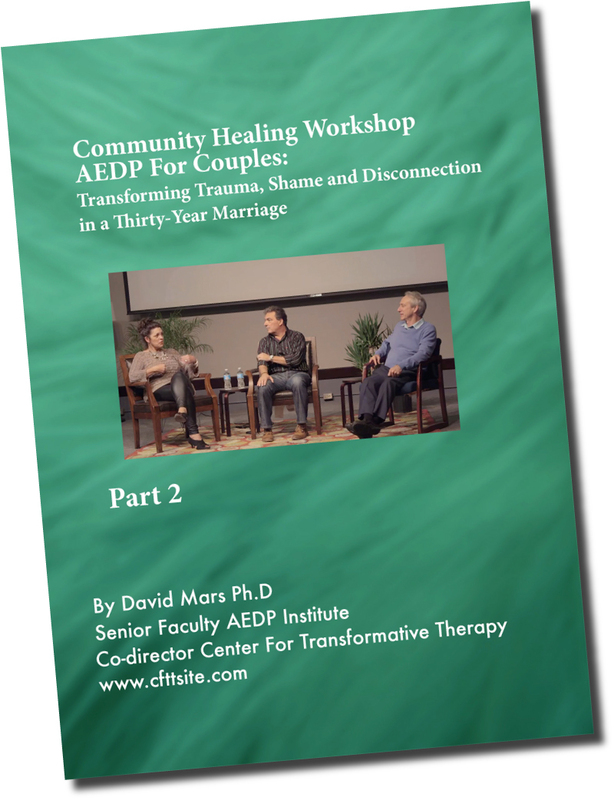 In this DVD series you will witness a live couple on stage with David Mars as their videotaped work is metaprocessed with the audience of seventy therapists and Diana Fosha. The cumulative effect is a deeply moving and sometimes hilarious experience that will enliven your work with couples. You will witness a series of transformational videotaped change moments in the second half of the couple’s total of fifteen sessions of treatment. The couple’s interactions with the audience will catalyze your learning of AEDP for Couples and has served the couple in integrating the quantum change they accomplished in their short and intensive treatment. After you’ve viewed the DVDs, you can follow instructions included with the DVD set to pay for your CE’s and take the online test.